Wyoming could allow grizzly bear hunting for the first time in decades when state officials vote Wednesday whether to allow as many as 22 grizzlies to be killed this fall outside Yellowstone and Grand Teton national parks. Environmental groups including the Sierra Club and Native American tribes say the hunt would undermine decades of work to restore grizzlies in the Yellowstone ecosystem. About 700 grizzlies now inhabit the region including parts of Idaho and Montana, up from 136 in 1975 when they were listed as a threatened species. The U.S. Fish and Wildlife Service removed federal protections for grizzlies in the Greater Yellowstone ecosystem in 2017 and Wyoming officials say relatively few would be hunted. "This came after a lot of discussions with the public about what they wanted to do in terms of grizzly bear management. We heard from the people of Wyoming, they were supportive of this. It's pretty clear the science supports this," said Wyoming Game and Fish Department spokesman Renny MacKay. The last time grizzly hunting was allowed in Wyoming was 1974. 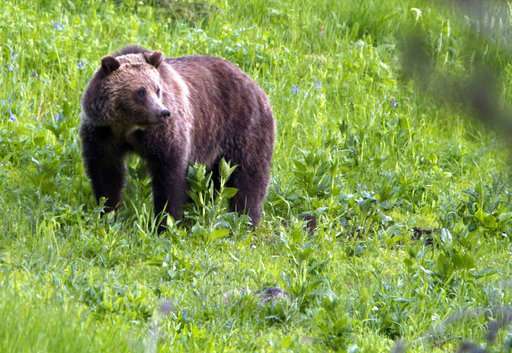 Under the proposed rules before the Wyoming Game and Fish Commission, hunting would begin Sept. 1 in the mountains and basins populated by relatively few grizzlies farthest from Yellowstone and Grand Teton. Hunting in a zone closer to the parks would begin Sept. 15 and end in all areas by Nov. 15.